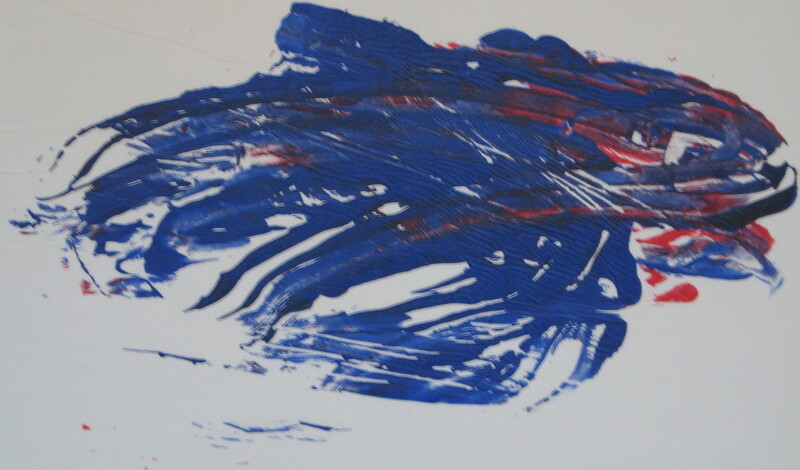 The earliest form of painting we learn is finger painting – hence the finger-painting header for this page. According to the latest CNN News, Prince Karim, the Aga Khan IV, has just unveiled the wondrous makeover (worth US$3.3 million) of the Museum of the Horse, at the Grand Stables of Chantilly, in northern France. Previously built by an 18th Century French Prince, Louis-Henri de Bourbon, the Grand Stables was meant to be a monument to the Prince who was convinced that after his death he would be reincarnated as a horse and therefore wished to be stabled there. 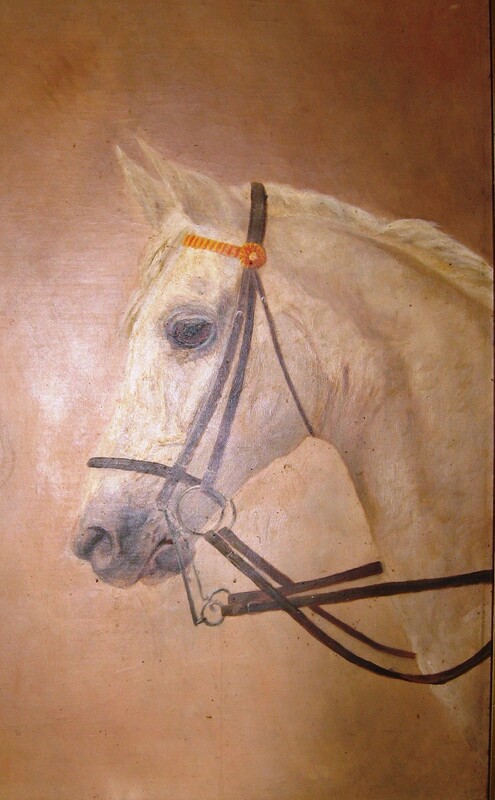 For more information about this painting, see my original post. One of my biggest faves ever has been Jean Fragonard’s (1732-1806) The Swing. This was painted back in 1767. You can learn more about Fragonard on this Wikipedia page. I could barely control myself when I saw it for the first time at the Wallace Collection. (and to think they only want a gold-coin donation to see this and all of the other items in the Wallace collection – priceless). Another form of art is naive, as ‘juvenile’ – and without sounding rude, I’m talking about artists who are producing great works of art at the tender age of “5 Years or Under”. For an example, see my Early Career Recognition page. 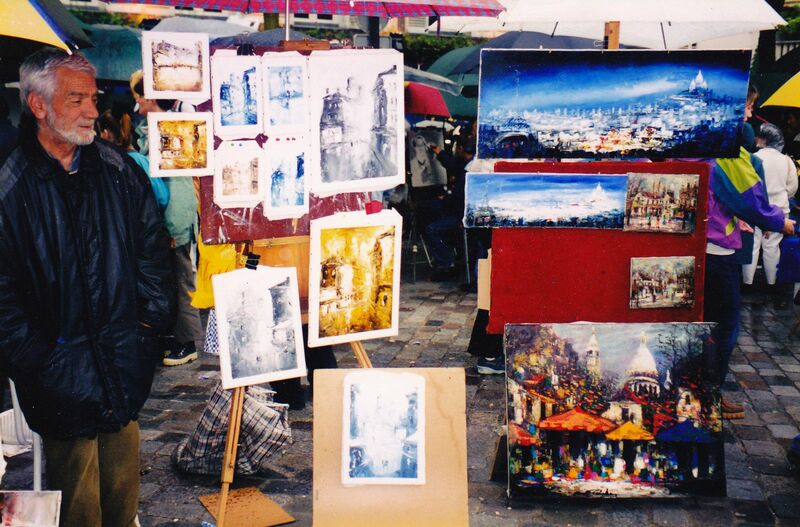 An example of Montmartre artist colony tourist rip-off area. -Save your Euros and find a proper gallery to buy from rather than seasoned rip-off artists who know how to remove sucker from their Euros. The Kiev Psalter aka the Spiridon Psalter, is one of the most famous East Slavic illuminated manuscripts, containing over 300 miniatures. It was written and scribed in 1397 by Archdeacon Spiridon in Kiev which followed a Byzantine style from an 11th century Psalter. The weighty and elegant script and large size of the page adds to the impressiveness of the book. Many of the miniatures illustrate passages from a psalm, with thin red lines drawn between miniature and text to indicate the indented passage. Sometimes the meaning of the illustration is explained in long notes in the same thin red draft (apparently original). For further information, see my original post. Aboriginal art is in a class of its own. I would gladly swop two Old Masters for one Aboriginal painting any day of the week.